Do you need to upgrade your understanding of how to effectively use color theory in your photography? Here is a little help on how to apply it in your photography. 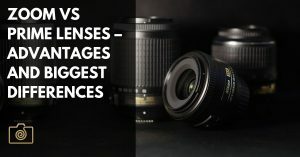 Even though the focus in this article is nature and landscape photography, you can apply these principles in every type of photography. When you’re starting out in photography, it’s fine to begin by experimenting and following your instincts. But at some point, if you want to continue improving, you’ll need to add a little theory. Knowledge of the color wheel is an essential part of any artist’s education, and very relevant to nature and landscape photographers, in particular. Have you ever set up a well-composed shot, that just didn’t look harmonious in print? Have you ever wondered why some scenes call to you while others fall flat? The way you combine colors and contrast them against each other plays a huge role in how we perceive images. You probably have at least some sense that certain colors “go together” while others “clash,” but those judgments often seem more like a matter of opinion or taste than rules to rely on. By understanding color theory, you’ll take the guesswork out of deciding which to place together in your landscape photographs. 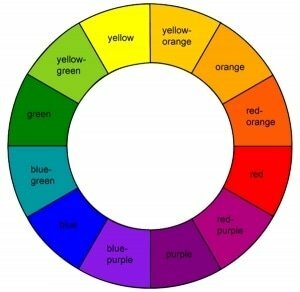 The color wheel is the foundation of coloring theory. The first color wheel was introduced by Isaac Newton in 1666, and artists of all kinds have used variations on it ever since. The primary colors red, blue and yellow cannot be created by mixing any other colors. Which is also the reason for them being called pure colors. You can essentially derive all other colors from these three colors. These colors are quite bold and dominating when you use them in large areas in a photo. We can also argue that primary colors have more visual pull than secondary and tertiary colors. Visual pull is the ability to draw the attention of the viewer, and primary colors are exceptionally great at doing this, especially red and yellow. Secondary colors are made by combining two primary colors in equal amount (50%/50%). For instance, 50% red combined with 50% yellow makes orange. Mixing 50% blue with 50% yellow gives you green. And finally, mixing 50% blue with 50% red will give you purple. You can get tertiary colors by mixing a primary color and a secondary color. The wheel starts with the three primary colors – red, blue, and yellow. They are called primary because red, blue and yellow can’t be created by mixing other colors. By mixing the primary, you get the three secondary colors – green, purple, and orange. By once again mixing adjacent colors, we get six tertiary colors, for a total of twelve different colors. This version has become something of a standard in contemporary art theory. 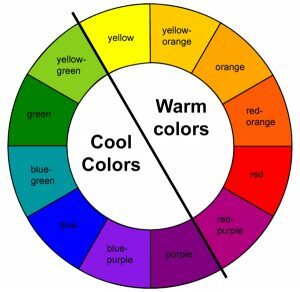 The half of the color wheel from red to yellow-green is considered “warm” while the half from purple to green is considered “cool.” One of the first things you should consider as you begin to approach color more intentionally is which half of the wheel you’re using – or if you want to contrast colors from both sides. Warm colors tend to look vivid and create an energetic feeling while cool colors evoke a calm, soothing emotional tone. No matter how much or little a viewer knows about color theory, most people have an intuitive sense of which colors “go” together and which ones don’t. That pleasant feeling of balance and order is called color harmony. Some art is intentionally unharmonious, but those pieces are the exceptions. 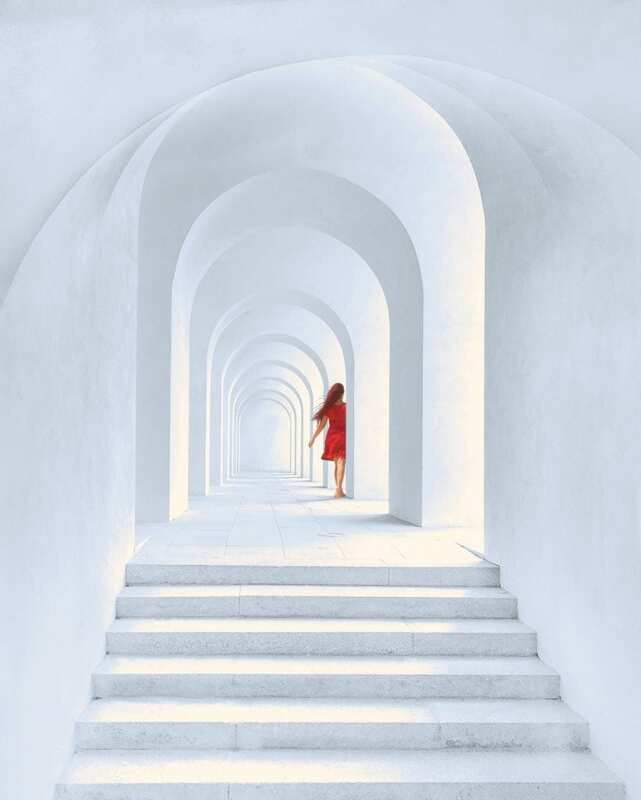 Color harmony is essential if you want to create a feeling of peace, tranquility, or joy, and it is often the best choice even for other emotional tones. When colors are not in harmony, images tend to be perceived as either boring or chaotic. In both cases, the human brain naturally rejects the image, creating an unpleasant experience. There are two main ways of creating harmony, although as with any art principle there are variations and exceptions. One way of creating harmony is to combine analogous colors. Analogous colors are within two places of each other, and they tend to subtly flow into each other, creating a gentle, peaceful appearance. This method often works best when one of the colors is allowed to dominate the image, with the others providing accents or background. 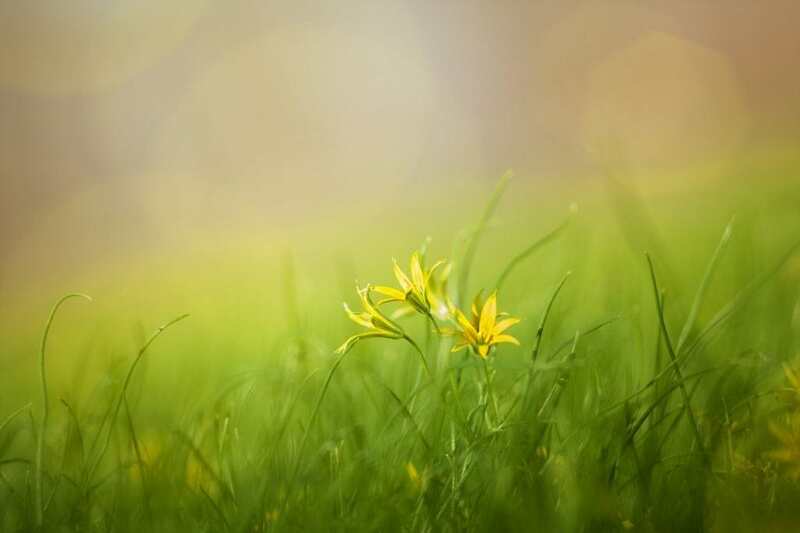 In the example below, the yellow of the leaf and the yellow-green of the moss are analogous colors. Notice how the image looks tranquil and natural while also holding the viewer’s interest. Any combination of three (or max five colors) next to each other are called analogous. An example of using analogous colors ranging from yellow to green. The second way to create color harmony is to contrast complementary colors. 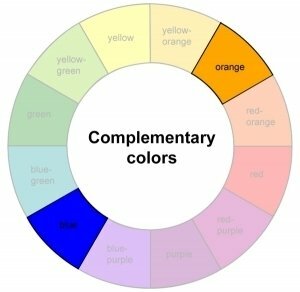 Complementary colors are found directly opposite on the color wheel. As with the analogous, complementary colors look naturally harmonious and pleasing to the eye. However, they tend to create a crisper, sharper impression because they balance and emphasize each other rather than flowing together. In this example, the yellow-orange boat stands out against the blue tones in the water and sky because yellow/orange is a complementary color to blue. Even though a pure orange would be a better match for the blue tones in this photo, it still works very well. The key is to get inspired, but not restricted. 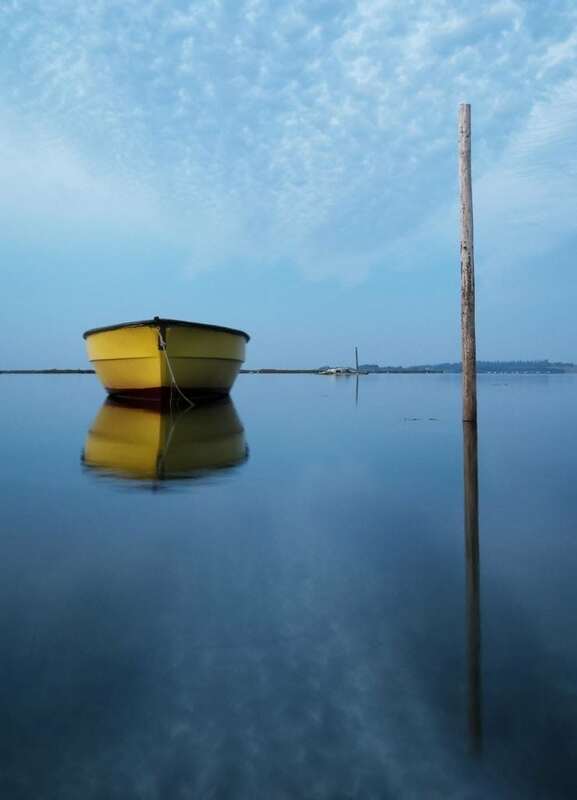 A lonely boat at sunrise. Taken at the Southwestern Coast of Zealand, Denmark. There’s a lot more to color theory than just the basics covered here, but this will give you a solid start. As always the most important thing is to experiment, learn, and enjoy the process. It is good to become more aware of how to use colors more consciously in your photography, but don’t let it become a constraint or let it limit you in some way. However, being aware of how color theory works will enable you to create more powerful images. Hello. I have a question about the primary colors. You said yellow red and blue, but I know for another books, articles; the primary colores are red green and blue. Thank you for the question. I don’t know how the other sources you mention explain it, but primary colors are those colors that you cannot get by mixing other colors. Remember much color theory comes from how paint blends together. You cannot get red, blue or yellow by mixing colors. Therefore, they are the primary colors. It would give a problem if green was one of the primary colors because you would have no way to make a yellow color from the primary. Blue+green gives you turquoise, green+red gives brown and red+blue gives purple. However, green color, on the contrary, you can get by mixing yellow and blue, which proves that green is not a primary color. You can easily try it out with paint. If we were talking about monitors, the primary colours WOULD be Red, Green & Blue, hence a monochrome monitor is a black & white one with shades or grey. And on the opposite side of the spectrum we have the colour monitor, most commonly referred to as an RGB monitor, cuz it produces its colours using Red, Blue & Green. And if we wanted to go a step further, using the same erroneous thought process, ( but it makes sence, I promise you!) the primary colours for a printer would be Cayan, Magenta, Yellow, & Black. Hence the cartridges in a colour printer are called CMYK. If you really want to take colour theory one step further, there are 2 types of colour. Physical colour, & Colour produced through light, which are the exact opposite of physical colours. In physical colours, the presence of all colors or pigments produce black. Yet with light, The absence of all colour produces black, and the presence of all colour produces white. Using physical colours, white is produced by the absence of all colour. Enjoy! Thanks for bringing extra knowledge to this article; it is much appreciated. You’re right that there is a difference between Physical colors (like in paint) and colored produced through light (like a prism). In my article, where the focus is to show how one can use colors to create better photos, I aimed at keeping things a little simple. But it is great to get the extra depth that you bring to this post. Ps. One reason it is hard to get the colours you see on your monitor to print properly on paper, aside that most people don’t calibrate their monitors, is that printers & monitors use two different colour themes that don’t match, the monitor using the RGB colour spectrum & the printer using the CMYK colour Spectrum. Sorry for the rant, hope it helps some one, or at least produces some curiosity to learn more about colours, & thanks for the Dam-fine post on colour theory!